Everyone has an opinion on what Facebook is doing wrong in terms of its business (especially financial analysts). But here’s an opinion perhaps worth listening to. 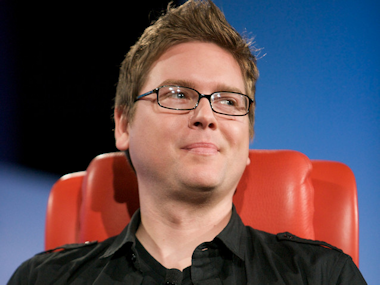 Biz Stone, co-founder of Twitter, has another idea for Facebook to make money: Go freemium. Stone, who said he just started using Facebook regularly again after a long hiatus, doesn’t like Facebook’s ads — a common refrain from many who use the service. “However, ads on the service are universally tolerated because that’s what makes Facebook free and free is nice,” he wrote in a post on Medium, the blogging platform startup founded by his old Twitter partner Evan Williams. His answer? If you can’t do ads right, do away with them. Or at least give users the option to do so. A funny thought, especially considering the concerns around monetizing Twitter with ads in its early days. The implication, I figure, is that if you want to include ads, they have to be relevant, well-targeted and unobtrusive. Like, I don’t know, say, one of Twitter’s Promoted Products? Obviously Facebook probably won’t take Stone’s words with more than a grain of salt, as the model he suggests is something slightly more akin to an App.net, the subscription-based social network more targeted to developers and tech types. And anyway, Facebook will have its own chance to let Stone, Wall Street and the rest of the world know just how well its ad business is going soon enough. The company reports its second quarter earnings next week.